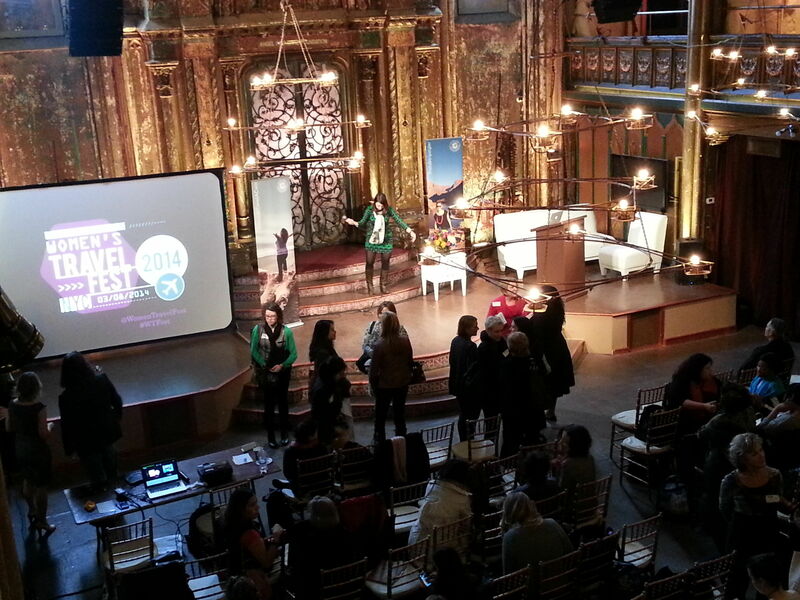 The first Women’s Travel Fest was held to coincide with International Women’s Day, and the crowd of enthusiastic travelers in attendance at the picturesque venue could not have been more thrilled at the timing. 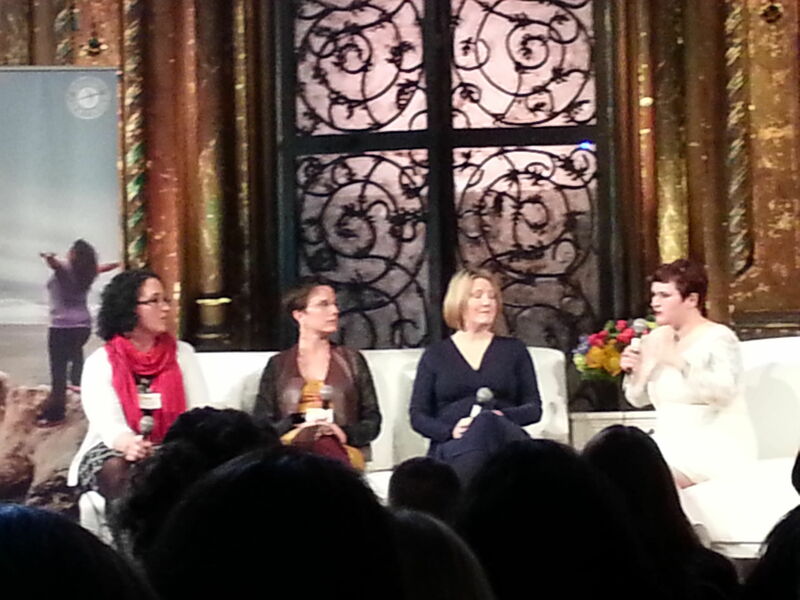 #WTFest as it quickly became known, was birthed in New York City on March 7, 2014 by Kelly Lewis of Go! Girl Guides with the help of midwives Mickela Mallozzi of Travel Barefeet and Masha Vapnitchnaia of Unlikely Pilgrim. These energetic women put together an array of intriguing solo speakers and panelists whose wide range of stories helped every woman in the crowd connect. And taught us all so many things I wanted to share with you. First up was Sonia Gil, a language teacher and attractive YouTube host of Sonia’s Travels, who talked about packing (no more than 2 pairs of shoes! ), useful apps like Skype and TripIt, and maintaining your brand on the road. Her entertaining and very me-oriented presentation was followed by a mix of “this is how I do it” and “this is how you can do it” panels that left me occasionally wondering about relevance. Soon after, a diverse panel of family travel experts expressed viewpoints that ranged from leave kids with the grandparents and focus on your partner, to train your kids in table manners so they can accompany you in any culture or destination. Colleen Kelly of “Family Travels with Colleen Kelly” noted she liked Wyoming as a family destination because her dude ranch had no WiFi, so her kids were forced to disconnect. The A List Mom Elina Furman Landauer said she likes multigenerational travel so her parents can babysit, and Christine Gilbert (AlmostFearless.com), seemingly a professional expat, likes off the beaten track places where there are no crowds. · Rewarding picky eaters who are ready to experiment with new foods with a “Junior Foodie” prize. All the moms urged the audience to relax, to do whatever it took to make travel with young kids work, to pack less, bring dark clothes, remember that once kids are 3+ they can entertain themselves with an iPad and you can feel less stressed… and to subscribe to discounts sites such as Groupon in the destination city, AARP, AAA and Jetsetter. 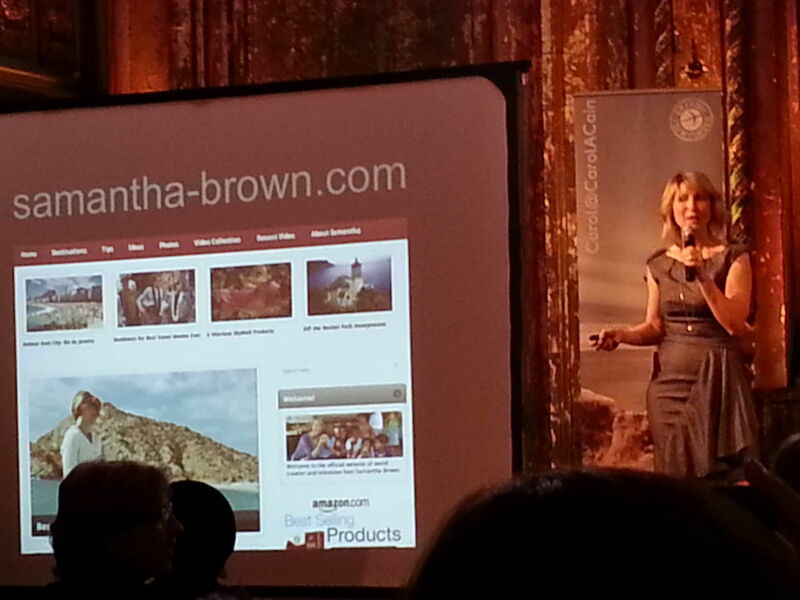 Samantha Brown, former host of at very popular Travel Channel show and now a mom of twins and spokesperson for the AARP travel site, urged the audience to seek out more authentic experiences whether at destinations near or far. · Always walk around the corner from where you’re supposed to be. After lunch, Courtney Scott at Travelocity sat with Jacqueline Gifford from TravelandLeisure.com to talk about travel tips for budget and luxury travelers. Both urged the audience to join every rewards program, and take advantage of their point system. They recommended traveling during shoulder season and flying on off-peak days like returning on a Monday instead of Sunday. · Develop a relationship with tour operator or agent. · Book tickets Monday or Tuesday when airfare sales are launched. · Book domestic air travel at least 30 days in advance, and international travel at least 100 days out. · Follow your favorite travel brands on Twitter, since they take advantage of #TravelTuesday to post their #traveldeals on that day. · Fans of email, they suggested subscribing to the e-alerts of your favorite companies. A very intriguing panel explored the idea of finding more meaning in your travels by connecting with and supporting locals. Videomaker Kate Thomas produces webisodes on her TravelwithKate TV series and loves the websites cookening.com and eatwith.com to find a local home where visitors can share a meal. Toursbylocals.com and Vayable.com are her picks for sites to help you find a genuinely local tour guide. Christine Maxfield from Compass Mag has been exploring the world through paid volunteer opportunities, or rather, voluntourism projects where she does not pay to participate. With activities ranging from pearl diving to assisting a shaman, Christine recommended that frugal travelers who enjoyed doing lots of research and planning – all on their own — could go to wwoof.net — the pioneer in this field – to search for World Wide Opportunities on Organic Farms. This type of travel has grown to encompass wwoofindependents.org and sites such as workaway.info, Helpx.net and GrassrootsVolunteering. They were joined by Adrienne Lee from the Planeterra Foundation, the charitable arm of the G Adventures Company, that makes possible a sustainable rural lifestyle, provides education, and other basic needs for the poorest peoples in the countries in which they run tours. Relevance, laying back, authenticity, extreme sports. A stunning hour with Sarah Shourd who was imprisoned in Iran for accidentally hiking across a border. Shy and funny Sally, the UnbraveGirl. An Expedia presentation with their Viewfinder Bloggers; vendors and small tour operators manning booths. Dressing to avoid being harassed in some cultures, and dressing to look your best in others. Sharing people’s homes and sharing travel tales. The #WTFest vision of being inclusive of every aspect of women’s travel worked: I spoke with a number of attendees — single women, moms, daughters — who had been moved by one or another speaker, or been inspired to pursue a similar path or style in their future travels. 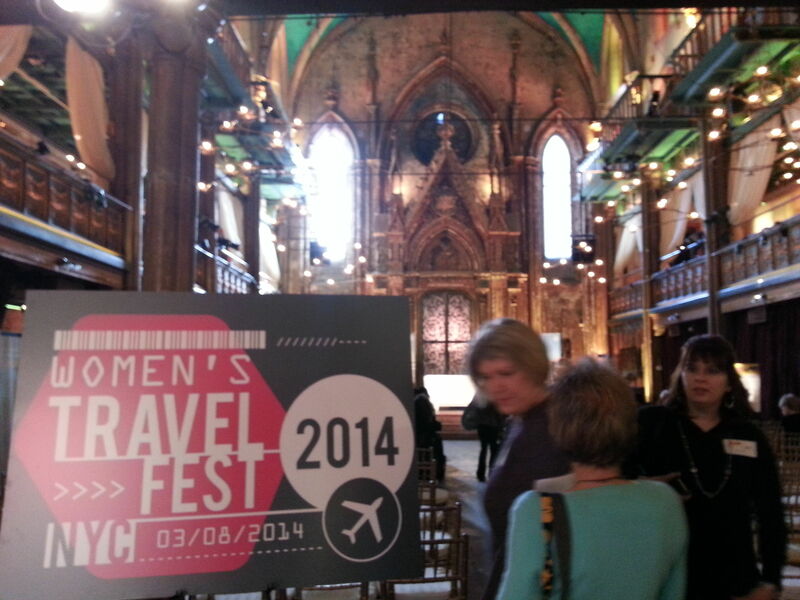 By the end of the day-long event, the sheer number and variety of choices and voices made the Women’s Travel Fest very special. And the Go! Girls who led it made it personally meaningful. Next year it will be in in San Francisco and I will try to be there. You should too.